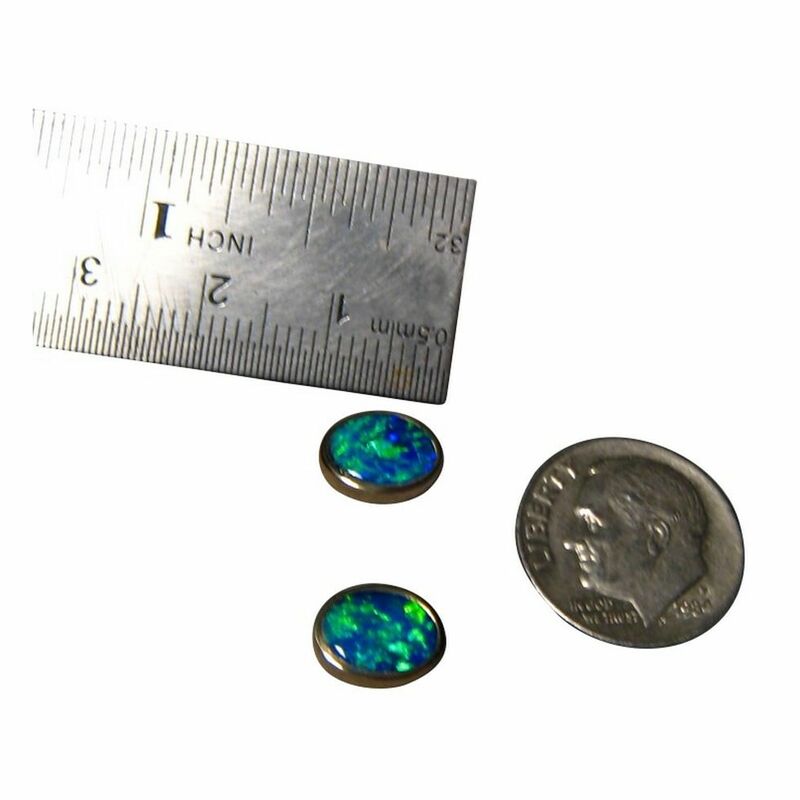 Beautiful Blue Opal stud earrings in 14k Gold that are oval in shape and will be noticed when worn. 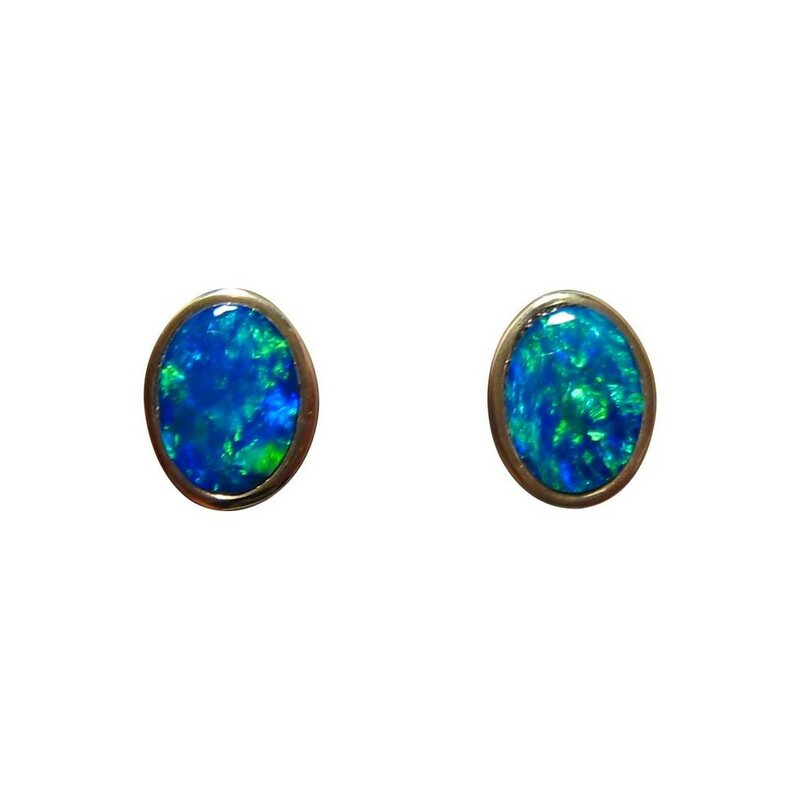 These Opal stud earrings have very bright Blue Opals that also flash a little Green which the video below will show best. 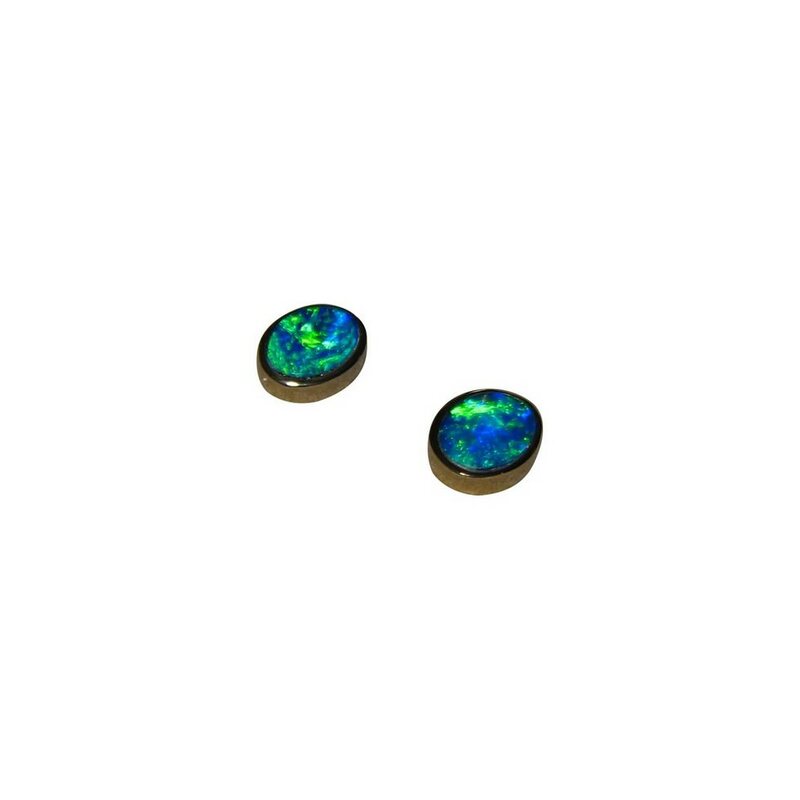 The oval Lightning Ridge Opals are inlaid in 14k Yellow Gold studs with comfort fit butterfly backs. 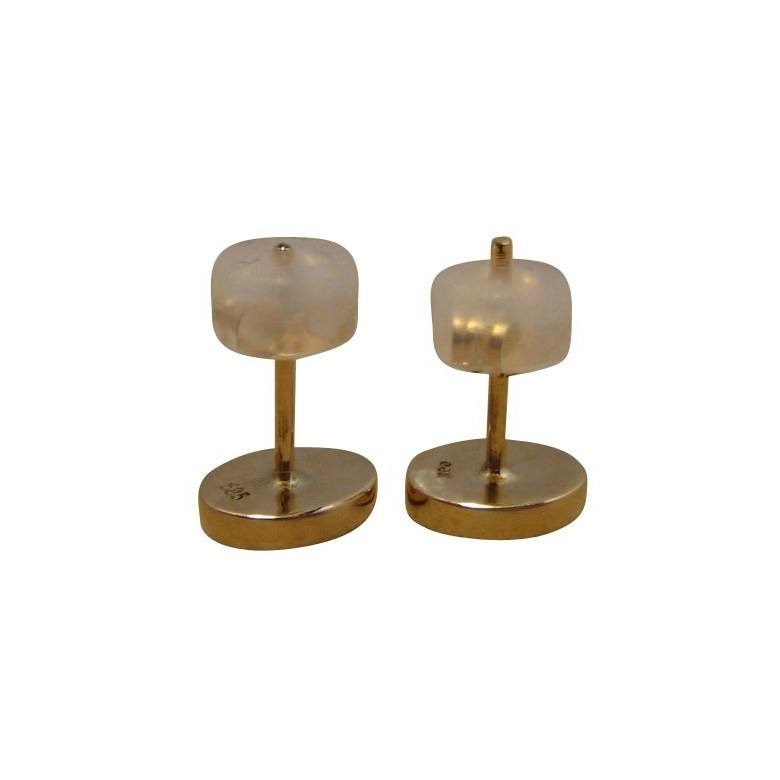 Each earring measures 9.5 x 7.5 mm and with the stunning flashes of color, they are sure to be seen and admired. 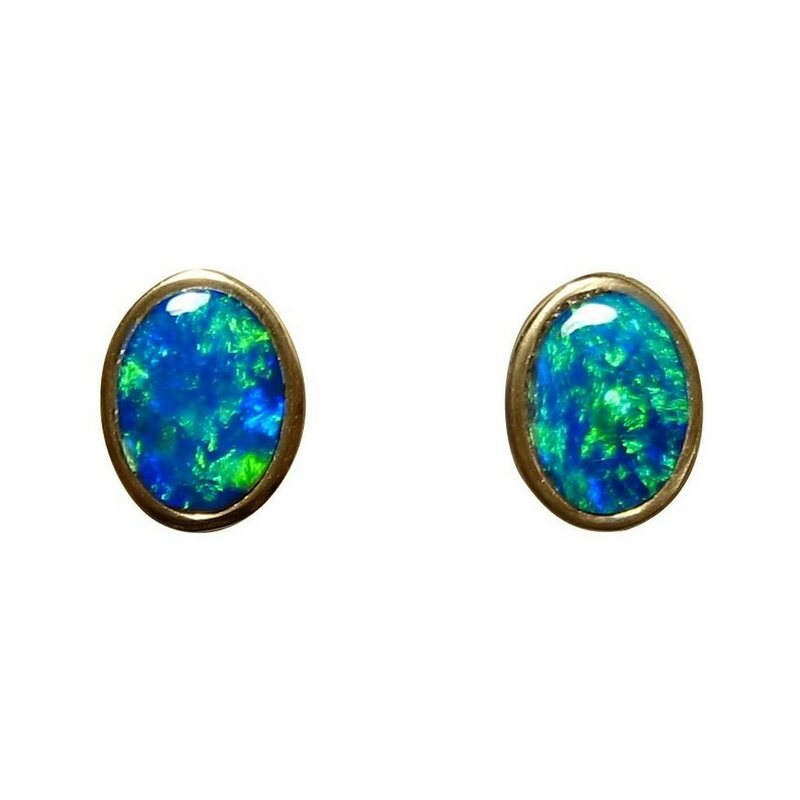 These stylish Opal earrings are ready to ship now.